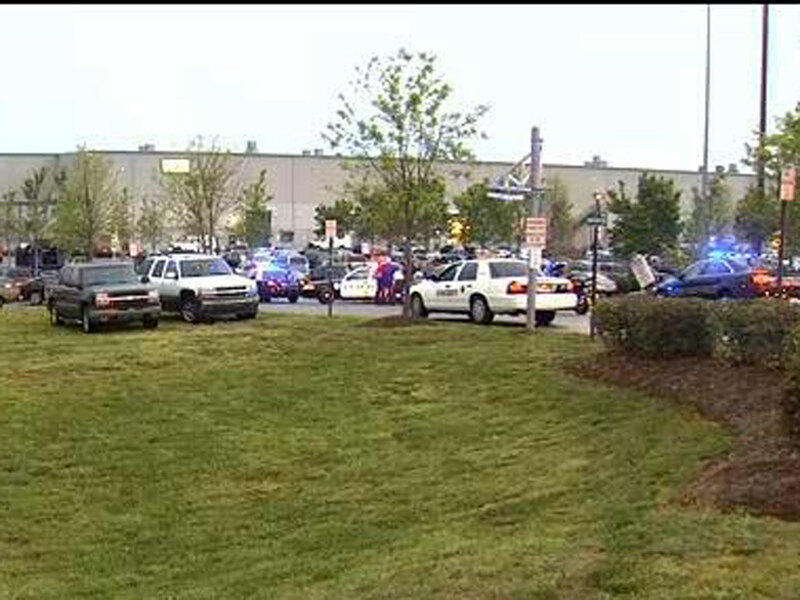 Suspected shooter in Ga. FedEx building rampage dressed "like Rambo"
KENNESAW, Ga. - An armed package handler with bullets strapped across his chest "like Rambo" opened fire Tuesday morning at a FedEx station outside Atlanta, wounding six people before police found the suspect dead from an apparent self-inflicted gunshot, police and witnesses said. Three of the victims were in critical condition at Wellstar Kennestone Hospital. Dr. Michael Nitzken told reporters at a news conference the victims suffered multiple gunshot wounds that were consistent with shotgun blasts. Police rushed to the center after someone called to report an active shooter at 5:54 a.m. After surrounding the perimeter and working to clear the building, officers found the suspect dead, Cobb County police spokesman Michael Bowman said. Cobb County police Sgt. Dana Pierce said the shooter, a package handler at the facility, was found with a shotgun and was carrying several unused explosive devices described as "Molotov cocktails." Pierce didn't say how many of the explosive devices the man had. Police later identified the suspect as 19-year-old Geddy Kramer of nearby Acworth. FedEx clerk Liza Aiken said she was working inside when she heard something, dropped, looked to her left and saw the gunman. Aiken told CBS affiliate WGCL in Atlanta she worked with Kramer and had problems with him as recently as last Thursday. She said the shooter was taking a laser package scanner and flashing it in her eyes. She reported the incident to management and Kramer was verbally reprimanded. She said she was afraid to think about what could have happened if he had seen her during Tuesday's attack. "A as soon as I saw what he was wearing, I ran the other way," Aiken told WGCL. "That is what scares because he was right in the area that I always work in. I don't know if he was coming for me, the belt manager that works that belt, I don't know," she said. Six people wounded at the FedEx station were taken to nearby Wellstar Kennestone hospital, where spokesman Tyler Pearson said one victim was rushed to surgery with potentially critical injuries. Others were less serious. "A lot of them were able to walk off the ambulance," Pearson said. The three victims listed as critical were a 28-year-old man, a 52-year-old woman and a 22-year-old man, Nitzken said. Another man, 38, remained at the hospital but was stable. Two other victims - a 42-year-old woman and a 19-year-old man - were treated and released. The facility about 25 miles north of Atlanta is a hub where packages are sorted and loaded onto vehicles for delivery. It's next to the general aviation airport for suburban Cobb County. The company said it was cooperating with police but had no details to release about the shootings. "Our thoughts and prayers are with those affected, and with their families and friends. We are grateful for the assistance of law enforcement," FedEx said in a statement. The situation is now stabilized and we are focused on the needs of our team members and cooperating with the law enforcement investigation of this tragedy."